As with all art mediums throughout the ages, filmmaking has gone through many technological revolutions each decade since its origin. The most recent development that has only continued to grow in popularity is the use of animated CGI, or computer-generated imagery, to enhance a film. CG animation revolutionized the film industry as a whole, as filmmakers of all genres began to use computer animation to enhance their films with animated visual effects. But is relying on this new technology a good thing, or does it spell doom for cinematic storytelling? Let’s take a closer look at the the history of CGI in live-action film to find out. The beginnings of the digital effects revolution started showing itself in the film industry in 1973 with the film Westworld, when the filmmakers began creating 2D computer images and manipulating existing footage on the computer. Before this, filmmakers had been using “practical effects” like puppets and mechanical devices to create special effects for their films, but this only included physical, on-set effects and objects. By 1977, George Lucas and his team at ILM were using computer technology to composite special effects and live action footage together. Also on Star Wars, Larry Cuba created the first 3D computer wireframe graphics for a few scenes centering on the Death Star. After Star Wars there was a huge surge in computer graphics in live-action films; most notably, in 1993, Stephen Spielberg’s Jurassic Park was the first film to be physically textured. His team scanned in images of the dinosaur models to the computer and then manipulated them using animation software and other digital texturing techniques. More recently, the main game-changers in the CG world that deserve mention are Peter Jackson’s The Lord of the Rings Trilogy (2001) and James Cameron’s Avatar (2009). With The Lord of the Rings, Jackson’s decision to use both practical and digital visual effects of extremely high quality was a key factor in the films’ success. In his book The Lord of the Rings; the Making of the Movie Trilogy, Brian Sibley describes the film’s revolutionary use of color grading to manipulate the color, brightness and contrast of the film images itself. The filmmakers pioneered the motion-capture technique during this film; the animators on the crew also created digital doubles for all the main actors – digital replicas of the character they could insert into any scenes in which the actors face was not seen – which had not been done before; they also used CGI heavily in pre-production as well. James Cameron’s Avatar utilized many of the same principles, but pushed CG animation to a new level of photo-realism and quality with their “performance capture technique” (translating each actor into a 3D character), which was possible due to the technological advances that took place between 2001 and 2009. It certainly is no surprise, then, that CG animation has begun to get a bad rap for being overused, as well as for looking over-the-top and cheesy. As with every advance in film technology, the success of this technology depends on how it is applied, and this has become readily apparent in Hollywood and the flavor of the films of today. It’s impossible – almost unheard of – that a film could be made today without CG effects, whether it’s something as small as color correcting the footage or as large as creating and animating a massive talking dragon from scratch. In an article on Cartoon Brew, Alec Gillis and Tom Woodruff, the founders of character effects studio called Amalgamated Dynamics Incorporated, weighed in on the pros and cons of CG animation in films today. 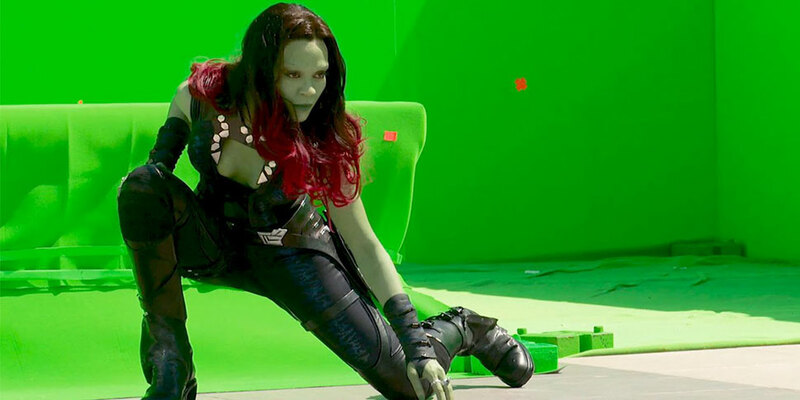 They pointed out that while some practical effects are still necessary, most productions prefer digital effects and animations because it gives the filmmakers greater control over the production. While a certain practical effect may be more realistic or cheaper to create on set, the producers have a tough time committing to it because they won’t be able to change it later on; they would rather have the flexibility to make changes later on down the road rather than run the risk of having an effect not turn out the way they want it to look. However, these producers are disregarding the fact that creating practical effects is sometimes six to ten times cheaper than CG animation, with a single shot of digital CG animation costing anywhere from $30,000 to $80,000. Yes, practical effects require money and time up front and can’t be changed later on without reshooting the scene, but by taking the “safe route” and handling more and more of these effects as CG animation in post production, the filmmakers are wasting an enormous part of the budget, Woodruff says. But too much of a good thing isn’t good, and the film industry is experiencing an over-saturation of CGI in films. The goal for digital animation and effects is that they look real and keep a viewer immersed in the story of the film; but with the rise of CG animation replacing practical effects, all too many films employ CGI simply as eye candy to attract moviegoers to the theater. In some ways, relying solely on CG animation and throwing out physical assets altogether is putting CG animators at a grave disadvantage. In order to ensure that CGI looks real, animators must spend extra time and effort to study how a certain creature or effect looks in real life, since they are not able to see it physically inhabit the set. However, too many productions skip this step in the interest of time, and instead try to create creatures and effects with no physical model, material, or on-set reference. And what about the green-screen phenomenon, in which actors are deprived of a real environment and thrown into a studio to record huge chunks of their performances? Relying too heavily on CGI, then, puts actors at a disadvantage too. “These are talented people,” producer Beau Flynn commented, “but when you act with a green screen or a tennis ball, you’re tying your hand behind your back in a fight.” The onslaught of CGI has forced more and more actors to act within a sort of emotional vacuum, therefore endangering the emotional quality of a film. On top of that, there is somehow a misconception in Hollywood that practical effects and digital CGI cannot coexist; the work of practical effects artists are being tragically pushed aside. Woodruff and Gillis agree that CG animators and digital artists are very talented as well, but practical effects could help filmmakers save money and raise the overall quality of their films. But the over-reliance on the digital medium is causing the art of practical effects to slowly go extinct. It’s clear that the industry preference is moving steadily towards CGI, and at this point there’s no turning back. But if filmmakers can learn to integrate practical effects and CG animation in a way that plays to the strengths of both mediums, they may find a way to employ the best of both worlds and save money on their films while increasing the believability. Studio executives will hopefully realize that sacrificing flexibility for quality and economy can be a worthy trade, and that their stories can continue to dazzle the audiences without the overdose of CG effects. Amanda Valdovinos has been writing ever since she could hold a pencil. She earned a BS in Communications Media from JPCatholic in 2016. A true California native, she spends her free time exploring beaches, Instagramming, eating avocados, and writing for her personal blog, Miss Adventures.